This is the latest set of illustrations for "Lindy's Sports Annual" (college basketball edition). 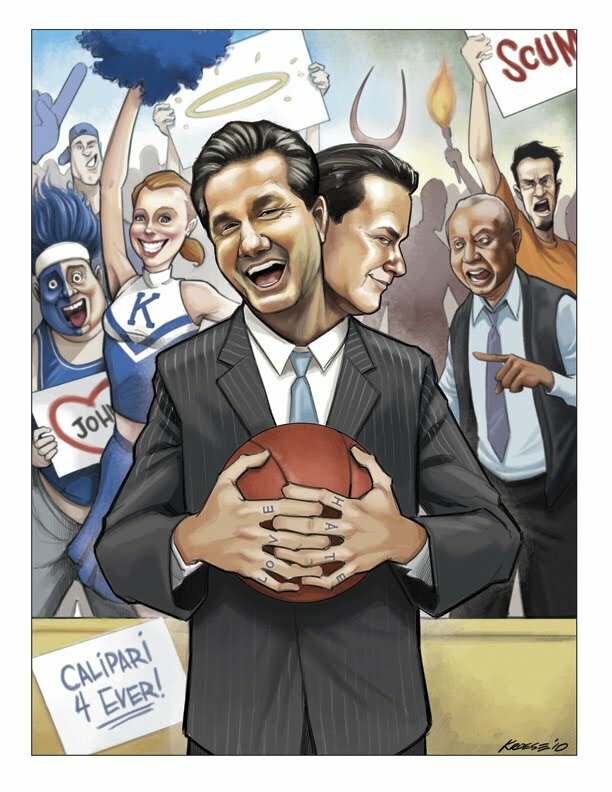 The feature illustration accompanies an article about Kentucky coach John Calipari. Calipari is controversial figure. There's no doubt that he wins basketball games. Some people, however, don't particularly care for his methods. There are strong feelings on both sides and this illustration is meant to convey the range of those feelings. On the right side of the illustration, John Chaney makes a cameo. Type "John Calipari John Chaney" into Youtube to find out why if you aren't already familiar with the incident. Illustration number two goes with a remembrance of iconic UCLA basketball coach John Wooden, who passed away recently. 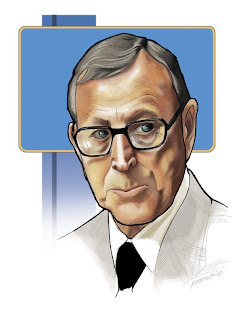 Wooden's coaching career encompasses enough wins to warrant a dictionary entry under "success" or perhaps "badassery" (wait, is that last one a word?). The third illustration pairs up with a scoping article on the change in brackets (from 65 to 68 teams). Initially, there was talk of an increase to 96 teams. 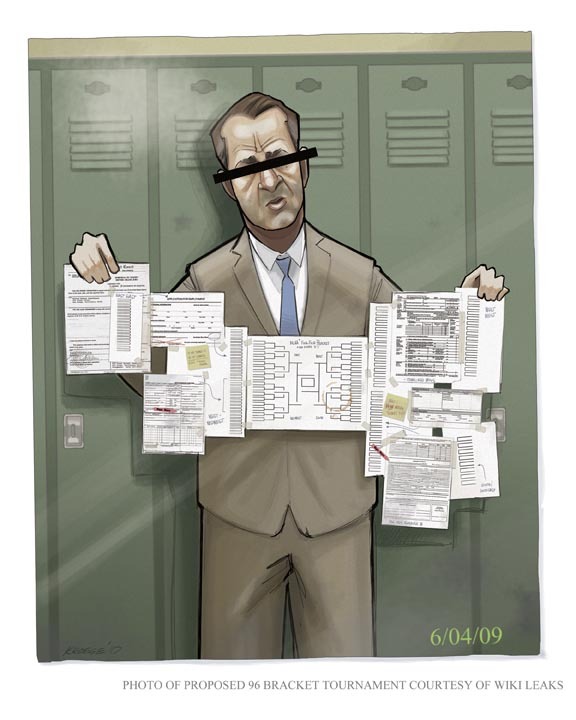 The illustration (the idea came from my editor, Shawn O' Neal) plays off the idea that filling out a bracket with 96 teams would be a daunting and ridiculous endeavor. 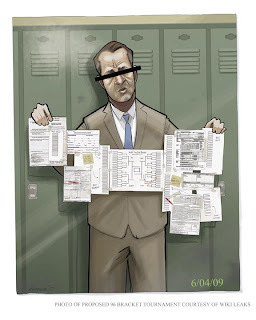 Included among the forms on the hypothetical brackets are job and mortgage applications, a 1040 ez, and a subpoena. Of these, my favorite is the John Calipari piece. I had the most time, which allowed me to carefully consider the subject matter and execution. I think attention to detail is one of the factors that contribute to memorable illustrations. I'll let you be the arbiter as to whether or not I managed it in this round.